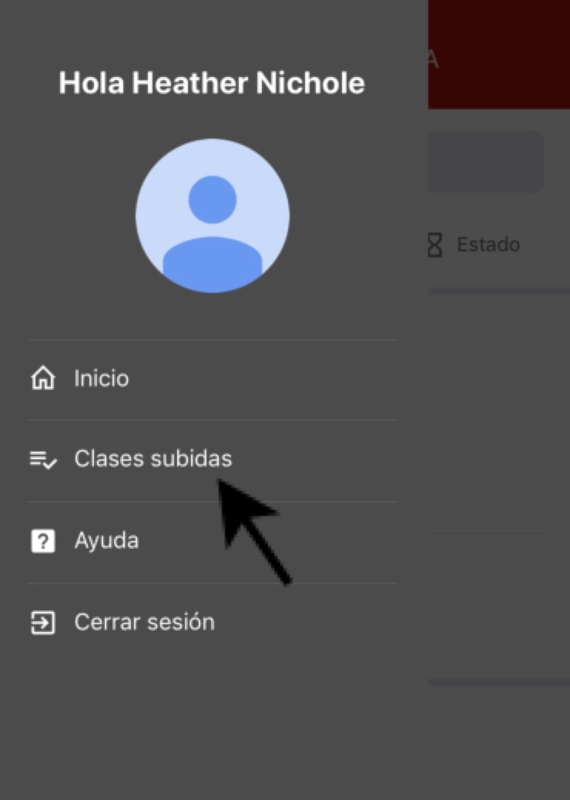 To go to this screen select in the side menu the option Uplodad classes. Once on this screen it's possible to see the list of all the classes where the assistance was completed. 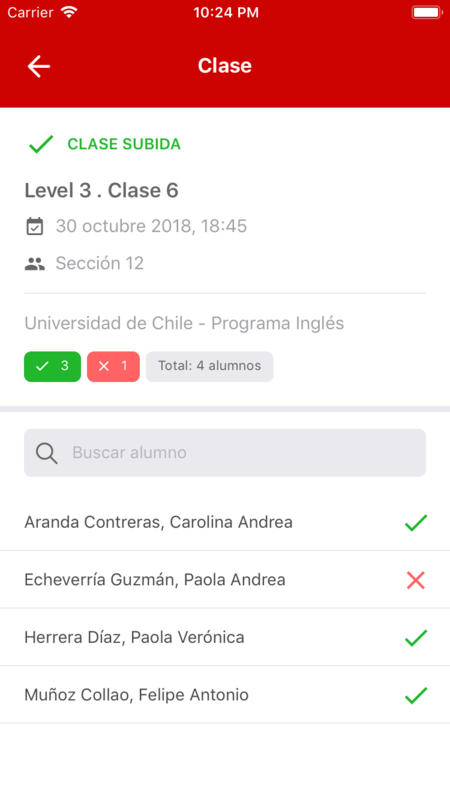 The navigation options are similar to the initial class screen, allowing you to search or filter each class by Search terms or selecting step by step. 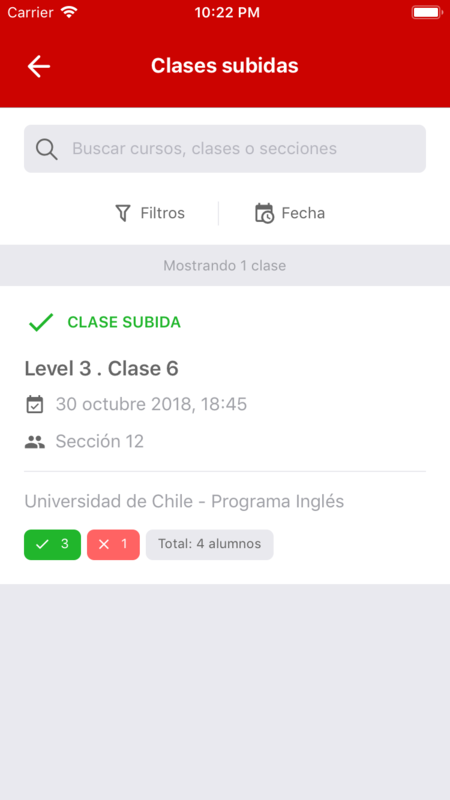 It's also possible to go to the detail by pressing on the class, in this way it is possible check the attendance status of the students.